Mary has been working in Southeast Asia since the 70s and when assigned in Vietnam, she learned how to do lacquerware. The must do list for Bali keeps getting longer as it tries to satisfy the returning crowd. Yes, Bali not only draws people but continues to draw back those who had been there already not only once but many times. It seems to be blessed by the gods the locals continually worship every day. Could this be the reason? Maybe. Or, is it because the Balinese are so welcoming? Or, that Bali island is just so beautiful? Or there are just so many interesting things to do in Bali that continuously draw people to come and come once again? Some just stay. Visit now and find out for yourself. What makes Bali Draw Many Tourists? For many tourists, visiting Bali is like being all the time in the midst of art and cultural show. 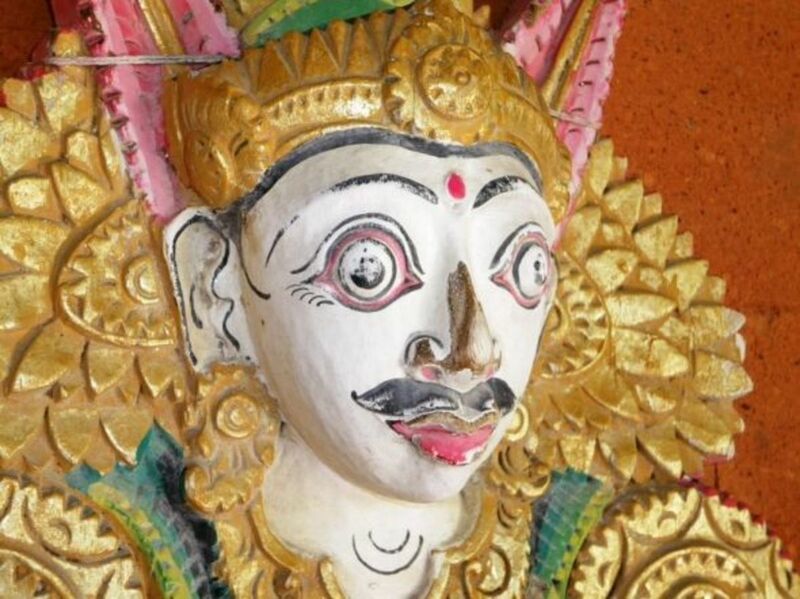 Over 93% of Bali's population adhere to Balinese Hinduism believing that gods and goddesses are present in all things. Thus, the interweaving of art and rituals in their everyday life. But the Balinese regular trips to the temples and offerings to their house gods make not only a colourful attraction to tourists but also a meaningful connection to the metaphysical. The sound of water and gamelan with the gong giving its impact once in a while in a setting of never ending fertile green rice terraces somehow awaken one's inner connection to nature and life. Thus, the claim by many that it is Bali's healing and nurturing environment as well as its mysticism that engulfs one to experience and love this Hindu enclave in a largely Muslim country. Life in Bali centers on the Hindu philosophy, Tri Hita Karana, which believes that the three causes of happiness are good relations with the gods (Parhyangan), other people (Pawongan) and the environment (Pelemahan). These three concepts are central to Balinese culture and is at the core of what makes Bali unique. In all aspects of life, harmony and balance have to be maintained. This is maybe the reason why visitors feel spiritually rejuvenated when in Bali. My husband and I, jaded travelers that we are, certainly enjoyed Bali. We avoided Bali for years thinking it to be too touristic until one of our friends decided to live there so we went for a visit. We were prepared for disappointment so to ease this a bit, we booked two hotels for our 6 day holiday, one in the beach and the other one in Ubud. We enjoyed ourselves so much that now we always recommend a visit to the place. What Makes Bali So Uniquely Different? 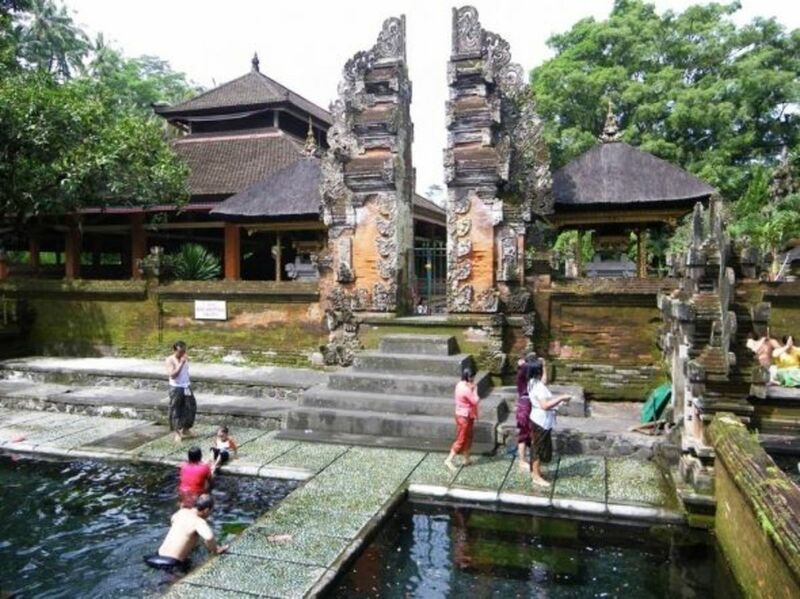 People of Bali have managed in spite of tremendous tourist influx to maintain a balance between accommodating these visitors and preserving their unique culture and pristine environment. In Bali, there are various rituals and ceremonies celebrating things such as the ascension of the ancestral spirits, praying for strength to face the temptations of the world, strengthening brotherhood and understanding among the youth, purification, celebrating new year, cleansing and so on. As you drive through the island, you will see symbols of these celebrations in the front of houses, bamboo poles decorated with coconut leaves, flowers, cakes and fruits. There are also ceremonies in the temples that people perform as well as dances which are part of these rituals. When visiting the temples, it is always good to be respectful when the locals perform their rituals. 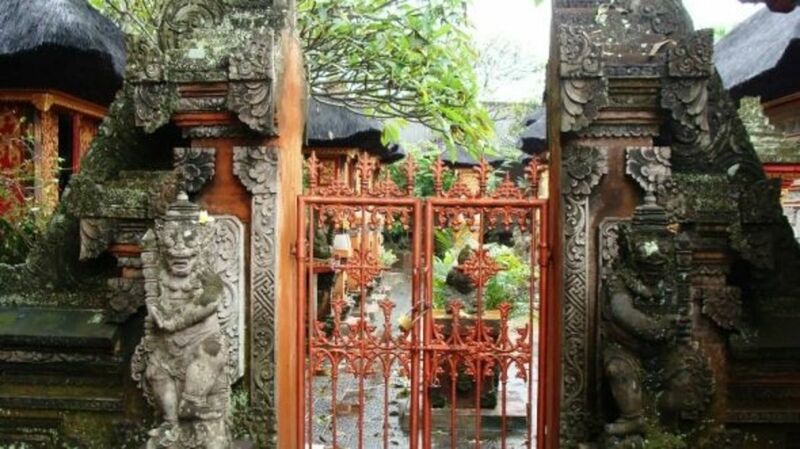 Get out of your beach chair and go to one of Bali's temples. You will get a sense of Bali's mysticism and have a unique cultural experience. Having to wear the local temple attire is in itself an experience. Savour the deep belief the Balinese have in their gods and imbibe the spirit with which they do this. Try to do as the locals do, light some incense and let yourself be enveloped by the intense belief of the locals. Sometime in March, the Balinese celebrate Nyepi. At this time, the Balinese refrain from using electronic devices, no loud noise or even going around the streets. The international airport is closed and even the Muslims in Bali turn off their loud speakers calling for prayer in respect for the days of silence and meditation that Nyepi requires. Bali life is full of rituals and ceremonies which make Bali unique and attractive to tourists. Despite the hordes of tourists visiting Bali, the Balinese seemed to have retained their everyday rituals and ceremonies deeply rooted in Hinduism. As such, some of the performances within sacred rituals and ceremonies have been adapted to entertain paying tourists. Should this be done or should these performances be limited only for the rituals and ceremonies? Not only is life in Bali full of rituals and ceremonies, these are at the heart of their everyday life. Bali music and art are part of everyday existence. You see the Balinese prepare beautiful offerings, you hear the music of their instruments as they go in procession to the temples or celebrate events in their lives and you see them in colorful costumes as they bring their daily offerings to the temples. Be part of this, but show respect and give them space as they perform these. The kecak or monkey dance in Uluwatu is not to be missed when you visit Bali. 60 men dressed in colourful sarongs, each with a hibiscus behind one ear perform in the circular open stage at the Uluwatu temple just before sunset chant cak, cak, cak incessantly providing the dramatic sound for the familiar story of Sita, the beautiful wife of Rama. These 60 men move, writhe, stand, squat, twist as one providing a wall of sound that makes the stage alive and mesmerize the audience. Music is so much a part of Bali's rituals. It expresses the deeper meaning of the rituals and ceremonies. The Gamelan in a special way has captured the hearts of many visitors and that includes me. I love to listen to the soothing music of Bali especially the sound of the Gamelan. Gamelan speaks of Bali to me and just to let it play in the background reminds me of harmony, serenity and nature. What more reason do you need to have this music in your home? Get your own copy now. On its five hectare facility, the Agung Rai Museum of Art offers workshops on Balinese painting, music, wood carving, dance, cooking, astrology and numerology, traditional architecture, batik, making of offerings to the gods, and Hinduism. There are accompanied walks to observe some ceremonies, group walks to view collections, and actual application such as playing musical instruments, carving a simple object, or preparing an actual meal. Experiences such as these usually add meaning and substance to your stay in Bali. The place is in itself an oasis. When we stayed in the place, my husband and I woke up to a very calming sight: farmers tilling their fields. Then, we had a dip in our own pool right in our own villa and enjoyed a breakfast in our gazebo. It was just like being in our own home. Aside from the Agung Rai Museum of Art, there are many other museums in Bali. One worth visiting is the Museum Antonio Blanco. Born a Filipino, Blanco married a Balinese and made Bali his home and the home of his works of art with his own peculiar flair, Spanish heritage and Balinese influence. Housed in a 3-story building in a 20,000 sq.m. property, Blanco's works have found just the right home and to go around and look at his works is an experience. There is also Neka Museum housing some of the 16th century Kamasan painting as well as works of modern Balinese and foreign artists. It is chronologically displayed so it gives you a good history of Balinese art. Museum Puri Lukisan, the first Balinese museum of fine arts, has about 150paintings and over 60 pieces of sculptures so for turn of the century Balinese fine arts, this is the place to go. Museum Le Mayeur, a memorial dedicated to the love of Le Mayeur and Ni Polok but the collections are all the works of Le Mayeur. Museum Gedong Kirtya houses ancient writings in a 1928 building including writings on palm leaves and Balinese poetry. Ubud artisans are famous for their craftmanship. Their designs have decorated many homes all over the world. They have wood carvings, baskets, masks, furniture as well as batik and ikat cloth all displayed in various museums and galleries all over Ubud. You can watch the artisans do their work or even enrol to learn the craft. For many years now, collectors all over the world visit Ubud to find artistic treasures they can add to their collections. I still treasure the wooden carvings my in-laws brought back when they went on holiday here. Some of these collectors and artists have decided to stay giving the art scene even a more international flavour. There are now hundreds of expat artists calling this place home because of the beauty of nature and the spiritual rejuvenation the place offers. The well heeled readers of Conde Nast voted this the best city in 2009 taking the seat Bangkok has occupied for years and beating other worthy contenders as well. I strongly support this vote for Ubud. Time for the village to beat the big cities. Take a peek just behind those beautifully carved archways, painted masks and shadow puppets. There are hidden treasures there like the Jean Francois Fichot which carries jewelry encrusted with gems and other one-of-a-kind treasures. Nusantara Gallery beside it carries rare primitive art, finely woven fabrics and wooden statues. Ubud has certainly evolved from its backpacker's past to become the art and spiritual center of Bali. Located in Kintamani, Mt. Batur has an elevation of about 5,633 ft. It has been active since its first recorded eruption in 1804. Danau Batur is the largest crater lake in Bali and feeds the population with abundance of fish. For the Balinese, it is a holy place. They go there to offer to the gods. You can climb to Mt. Batur and enjoy the scenic view and smell the sulfur close to the crater. This is better done early so you can be there for sunrise which people claim is just magnificent. Some camp there, too. Arrange your tours with highly recommended operators, not just do this on a spur of the moment right there as you will be charged much. Make sure you are properly outfitted, hiking boots, hat, long pants, long sleeve shirt and gloves. But for those who are less fit or just not interested in those climbs and camps, you can also drive down into the crater to look at the black lava flows. Or, just go to the viewpoint, Penelokan, and enjoy the view. The peddlers are a bit aggressive here and the restaurant is poor of service and culinary delight. Ask your hotel to pack you a picnic or buy some provisions from the local grocery and keep your hunger for the best seafood at Jimbaran Bay. At about 10,308 feet, Mt. Agung is for the Balinese the center of the world. All their temples point toward Mt. Agung. They revere it highly as for them the gods visit through Mt. Agung and then go to the Temple of Besakih, Pura Besakih, over 900 meters up the slopes of Mt. Agung. Because of such belief, Besakih has uncountable steps and it is one of the most interesting temple complexes in the world. Mt. Agung is also Bali's most active volcano but the last time it blew its top was in 1963. Do a trek here early morning when the sun is not yet strong and you will get some of the most scenic views of Mt. Rijani and Lombok. This trek is really only for the fit so get going with your fitness program. Considered the birthplace of Balinese culture, it was here that Javanese Hindus relocated after the end of the Majapahit kingdom 700 years ago, continuing the practice of Hinduism on the island. 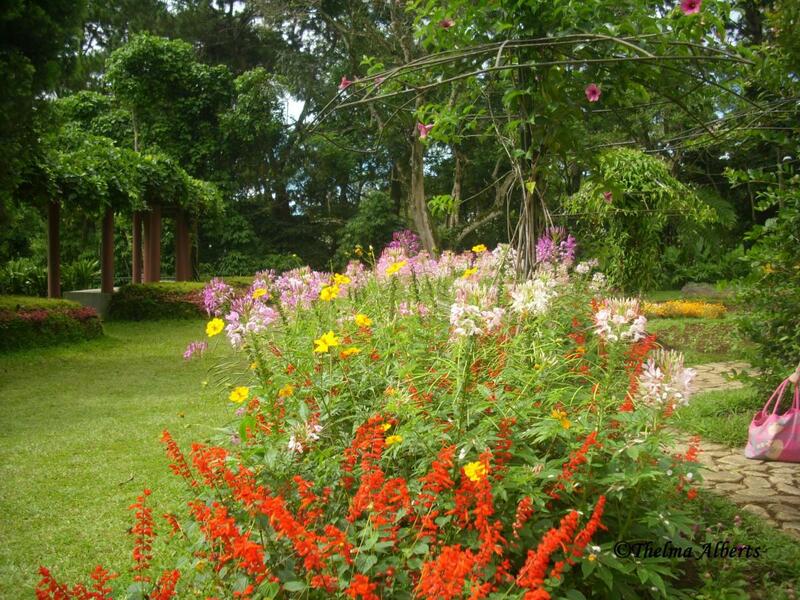 The historic landmark here is the Taman Kertha Gosa, first erected in 1710. Spend time in the Kertha Gosa, or the Hall of Justice and the Bale Kambang, the Floating Pavilion, and the Museum Semarajaya. The ceilings of the Hall of Justice and the Floating Pavilion are each decorated with very interesting paintings done in the Kamasan style. Kamasan is a small village a little southeast of Semarapura where this very early and distinctive style of painting adopted by the Royal Court originated. Get a guide to explain the meaning and significance of these ceiling paintings. Much of the ceiling is devoted to the life of Bima, and of particular note are his visits to the after-life where he witnessed the gruesome torture and torments of evil persons. 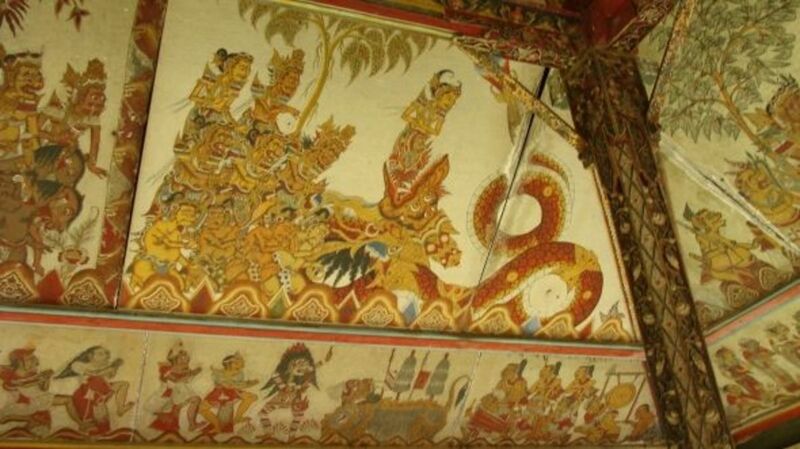 Other panels show Garuda's quest for the elixir of life, the Balinese calendar and other aspects of Balinese culture. A new performing and visual arts center and contemporary art museum is being constructed by a team of 40 craftsmen on four hectares of land adjacent to the decade-old Nyoman Gunarsa Museum including the Museum of Classical Balinese Painting. When completed, it will be the largest arts center in the regency, and one of the biggest in Bali. Have you been to KlungKung? Crumbling temples carpeted in moss, this is one of the many sacred Hindu sites on Bali. Here, the monkeys rule. 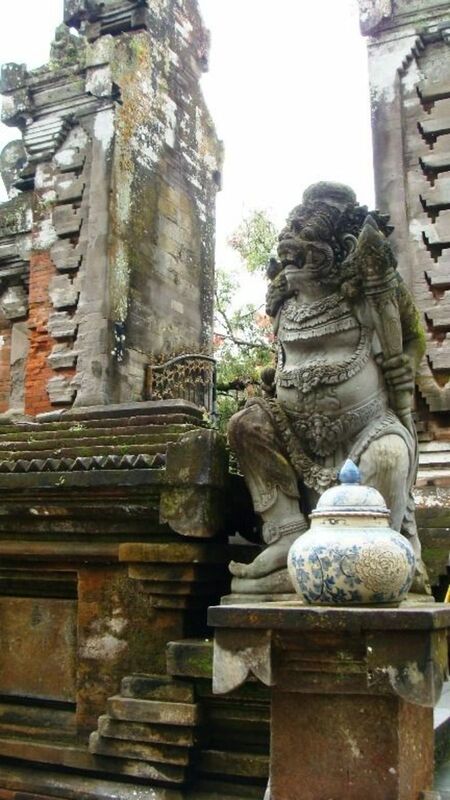 In the form of the god Barong, they are believed to protect the three temples. But they, of course, partake of the offerings to the temple and also your food and drinks if you bring some in the forest. Without harassment from these forest rulers, you can have a whole afternoon of fun just watching them play. It is worth a visit so try to get there. Just follow the Monkey Forest Road to its southern end where there are two entrances to the temple. Brochures and maps are available with your entrance fee. Tenganan Pegeringsingan in one of the ancient villages, the Bali-Aga as the locals call it. The word "tengah" refers to moving to the inner area. Pegeringsingan comes from the word "geringsing", a traditional woven product unique to the village. The village may have derived this name as their people practice this traditional weaving and have moved from the coast to this inner area. The other story is that the people of Tenganan came from Peneges village close to Bedahulu which at that time was ruled by a powerful king. One day, the king lost his favourite horse. He ordered his people to look for it. It was found dead by Ki Patih Tunjung Biru, the King's right hand. For this, the king gave Ki Patih Tunjung Biru authority over the land as far as the smell of the horse's carrion. Being an intelligent man, Ki Patih cut the carrion into pieces and spread it far giving him a big parcel of land where he settled with his clan. The village is quite organized. You can easily interact with the village people as the stores are right in their beautifully kept homes. There are village guides to bring you around and show you the important aspects of the village. Most people here weave "ikat" and there is a loom in almost every house. One interesting ikat design is their village map. Of course, the traditional woven baskets and mats are there to be found, too. Yes, in Bali, it is easy to go from one beach to the other. You can go to the east, north or south. There is Jimbaran, Nusa Dua, Kuta, Seminyak or cross over to Gili and Lombok. You can just have a beach holiday. Pick your favorite, white sand or black sand. You can go snorkeling and diving. Or, maybe, fishing or surfing. My choice is just reading my favorite book on a shady spot under a tree enjoying coconut and pineapple ice cream. Of course, I go once in a while for a swim in the ocean to cut the monotony of this lounge. You can also go and catch the sunset at Sanur Beach, more laid back and uncluttered yet alive with its cafes and restaurants. If what you want is action, a busy beach life, splashing neon lights and souvenir shops all over the place, go to Kuta-Legian area. But if you want the quiet pampering as you enjoy the sound of the ocean, Nusa Dua and the Bukit Peninsula are the places to stay. Bali's waves have been surfed not only by locals but by visiting surfers as early as the late 1930s. The first of these foreign surfers are the Australians who introduced Bali to world class surfing equipment. Some of the legendary breaks are in G-Land, Lombok or Sumbawa, or the more distant areas of East Nusa Tenggara, Mentawais and North Sumatra. Test out your more advanced skills in Uluwatu or Padang. If you haven't surfed before, don't worry. You can learn from so many surf shacks around with teachers who have surfed for decades the waves of Bali. Legian and Kuta from what I've seen are the best places to start as its waves are smaller and the waters more shallow. We did stay in two hotels when we were in Bali even if we were there only a few days. Given that we did not have much luggage with us, we decided to book a hotel right on the beach for a few days of rest. Then, we moved on to Ubud to the ARMA Museum hotel and did all the cultural must do in Bali. We enjoyed this experience so much that when we go to a place another time, we will again book two hotels to try out many of these newly designed resorts. Another fabulous stay in Bali our friends rave about is staying at private villas. We visited one and were really impresse. If we're going with family next time, we will certainly do this. Bali has highly trained instructors who have exceptional knowledge not only of the dive sites in the island but also of the requirements of international certification such as PADI and SSI. They offer introductory certification courses as well as the divemaster certification course. Bali's east coast offers the most stunning diving with excellent visibility, rocky walls, wrecks, canyons and reefs teeming with schools of colourful fish. Gilli Tepekong and Mimpang, Padang Bai, Tulamben, Seraya, Amed, Nusa Penida and Lembongon and Crystal Bay are some of the frequented sites by divers. Tulamben is the place to go for those who enjoy wreck diving. You can, of course, go on a safari and enjoy several of these sites. What is your favourite beach in Bali? After diving and surfing, you will be ready for some relaxing pampering. Many Bali resorts offer yoga classes, Balinese healing, sacred arts, and other wellness regimen. Situated often on the slopes of scenic hillsides or on the banks of rivers like the Ayung, these healing destinations are not to be missed when you are in Bali. 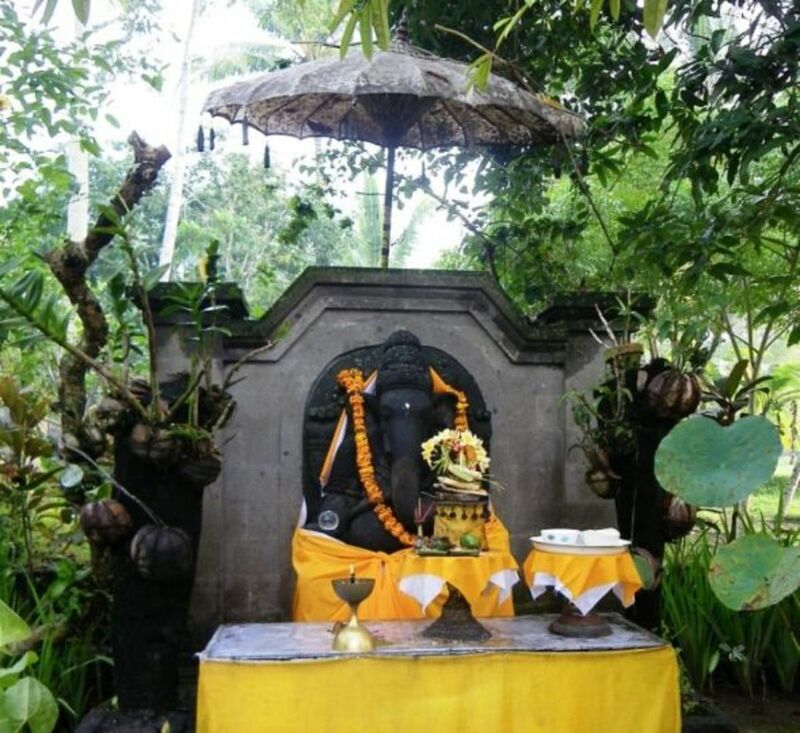 "Our wellness and healing destination was conceived to connect people with their 'authentic' and innate qualities through integrative services in Balinese healing, living foods and sacred arts." What would really be an experience is to stay longer and have a retreat in one of these yoga and wellness centers. This would be a wonderful gift for yourself. Slowing down in today's fast changing world is very rejuvenating for the spirit. Gift this to yourself. In our last visit, Ubud was the place we often went to for food. Cocktail places abound but try out Cafe Havana where photos of Che Guevara and Fidel Castro adorn the place and salsa bands play. There is Naughty Nuri's if you are a rib fan. I like Japanese food so I was happy when Miho Oshiro opened Minami. If you want vegetarian fare, go to Kafe run by Meghan Pappenheim, an ex-New Yorker and sample Meg's Big Salad Bowl. For an exquisite taste, eat at the Indus Restaurant, a gourmet place perched on the edge of a scenic gorge. Sample a bowl of steaming rice, curry and sambal made only from the finest ingredients available. Or go to Warung Bebek Bengil for crispy deep fried duck with sambal. After this sumptuous meal, you might just want to take a walk through the Monkey Forest and watch the monkeys do their tricks. Or if monkeys are far from your interest, go check out more shops. If you're an early riser, head to Ubud market and watch the locals buy their fruits and other daily religious offerings. Taste some of the local food on offer in some of the market stalls. To catch a view of Bali's spectacular sunset, perch yourself at the outdoor lounge of the Ayana Resort and Spa. For me, a seafood lover, Jimbaran Bay is the place to be. Tables after tables are set right on the beach and you can have the catch of the day. Recent news brought chocolate. With cacao in abundance in Bali, it attracts the chocolate connoisseurs of the world. The latest is David Wolfe, the author of Superfoods:The Food of the Future and Naked Chocolate. It seems Fivelements Puri Ahimsa has a vegan multi-level bamboo restaurant, Sakti, on the Ayung River. Set in-between fishponds, Sakti is presided by Made Runatha, a Balinese chef who graduated from the world's top raw vegan cuisine school, Living Light Culinary Arts Institute in California. Bali is one of Indonesia's wealthy islands with tourism as its major earner. However, the biggest employer is still agriculture mainly rice production, coffee plantation with its famous Arabica coffee, salak plantation which you must see while there and fishing. Of course, one can't discount the contribution of its artisans in batik and ikat weaving as well as wood carving. Visits to artisan centers while there is a must. When we were in Bali, we were struck by the everyday rituals that the locals continue to practice regardless of the crowd and the intrusions into their lives. Each morning, you will see them offer flowers in their spirit houses. In the afternoon, you see them troop down the lane to the temple bringing their offering for the day. During the day, you'll hear gongs and gamelan as the Balineses perform some rituals. Being there transported us, jaded travelers, to a unique experience of culture and tradition as well as exotic beliefs and ceremonies. Of course, the beaches are also wonderful but what makes Bali different from other major destinations is that tourism has somehow not destroyed the people's way of life. Such way of life in which religion plays a central part with its rituals and ceremonies still practiced daily makes the place an oasis for visitors. I have avoided Bali for many years as I thought it was another tourist mecca as it has been in the tourist map for ages but when finally I made the leap to go, I was impressed. Are you interested in traveling to Bali? Are you now interested to go and check out Bali? Have you been to Bali? - Did you enjoy it? Same here Robert but one moves on. We treasure our memories. I haven't moved very much but there are things I threw out or left behind that I later wish I hadn't. You're right Robert unless you are an avid collector. Online seems very interesting. You could link to these articles. Yes, things tend to end up in the trash during moves. We did before but threw the map when we moved. May try it again, maybe, online. You're welcome. Have you ever mapped out all the countries you have visited? Thank you Robert. We see things from our own eyes so we write about those that are important to us. Another great travelogue. There is a great deal of detailed information for those who plan to visit Bali. Thank you for posting. Bali is a great place to visit and I hope you'll have a chance soon. Oh a visit to Bali has been on my wish list for as long as I can remember. Somehow I have just never yet materialized it. After reading your article Bali has again moved to the top of my traveling list! Thanks Mary for this amazing Hub! I'm an expat in Bali and by reading your article I realized there's so many things I still have to do. Hope you will post more hubs about Bali, regards! Thank you Grand Old Lady. Thanks for the Taru Ubud suggestion. I will definitely love that. Hi aesta1, I've been to Bali with family and we had a wonderful time, but from your article it seems there is still a lot more to do. We had a wonderful time shopping, visiting the elephants at Taru Ubud, soaking in the culture and getting slashed by the powerful waves. 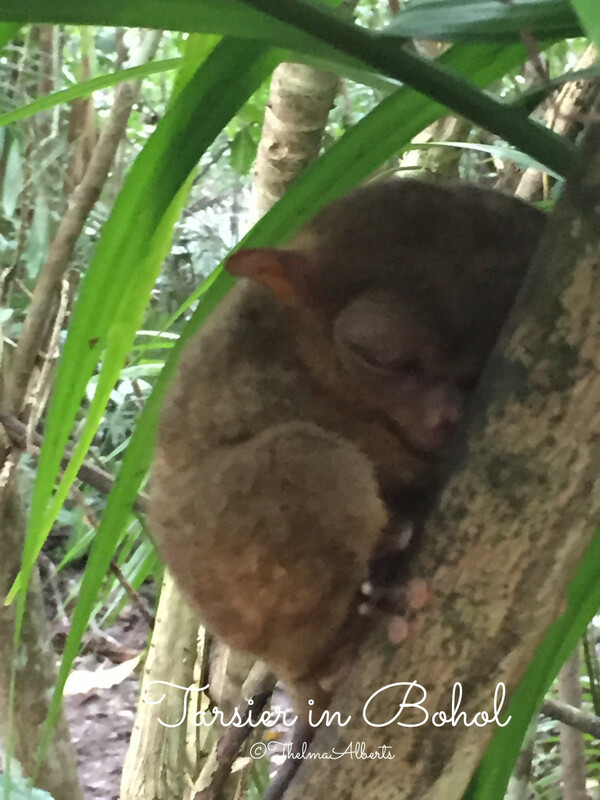 If i were to go back, I'd look for the monkeys as I love animals. Lovely article! Bali is so different from many cities in the U.S. Thank you for sharing how I look at the world. Yes, it is with its luxuriant environment, Bali is very nurturing. It does look like a beautiful, nurturing place. It would be interesting to spend some time in Bali. Such a different culture than we have in the states. I do enjoy seeing and learning about parts of the world vicariously through your eyes, Mary. The temples are really interesting and there are many other things to do like visiting old villages, artisans place and galleries. I am really big fan of Sanur. I have worked in that area for years and find the people there to be really polite and friendly, and the party atmosphere is not as heavy as somewhere like Kuta! What an amazing place. I know people who have been there, although I haven't - but hopefully someday I'll get the opportunity. @ZenandChic: You are right about its spiritual energy and in spite of tourism boom, they seem to have kept this. I very much want to go to Bali. I love the spiritual energy it has. I sure would like to go some day. I have heard a little about the place. What a stunning place and lens. Amazing photographs, thank you so much for sharing it. From where i live in Yucatan this place seems accessible but had never heard of it. it looks amazing. Wow. @LluviaDeArte: You live in one of the places I still like to explore, the Yucatan. Thank you for your generous comments. Such a beautiful place and culture. I would so love to visit! Wow, while reading through all this great presented information I had flashbacks from my time in Bali and I'm about to book my flight to go back :). I studied in Denpasar for 7 month and I lived in Legian. You will meet a lot of Balines people there too, which is always a great sign for quality. Thanks for that great lense! Such a detailed and informative lens. I found some traditions and faith resembles with what we have here in India. Your lens is very beautiful and informative. . I've been wanting to visit Bali for sometime but after going through your lens, I'm dying to visit it. My next vacation is definitely going to be Bali. Thank you so much. You always make the most beautiful and interesting travel lenses. I have always wanted to go to Bali and your lens will make a great guide. Pinned to my "Wanderlust Travel" board. It's a big and beautiful world and we don't have a chance to explore it but we do have a chance to see few tidbits through articles like this one is. Thanks. Although I am Indonesian, I am only 2 times go to bali. It was one of the proudest tourism in my country. A return visit to this wonderful lens. I would love to visit Bali with a camera one day, the colors are so vibrant. nice wall paints. very interesting. thanks for sharing. I love Bali and spend a lot of time there as well. It is a very impressive lens you have put together Aesta, so much good info. Thanks for sharing your knowledge about this beautiful island. I've heard so much about Bali but I've never been. Thanks for all the great info (and pictures!) in this lens. Bali is on my "I wish wish wish to go there" list for a long time :) This lens is better than any travel guide book out there as it is full of your personal experience and recommendations. My family and I spent two weeks in Thailand last month and we are now thinking about Bali a lot :) I would love to visit those terraced farms, among other beauties. This is a fantastic lens about Bali. I feel like I am there already. @JeffGilbert: Hope you get to visit Bali one of these days. @giacombs-ramirez: It depends maybe where you go but the places we have been so far were not dirty and the beaches were clean. This part of the world will always be humid, maybe less humid in January. @IMekads: I hope I did Bali justice. Am happy to hear from a Balinese. 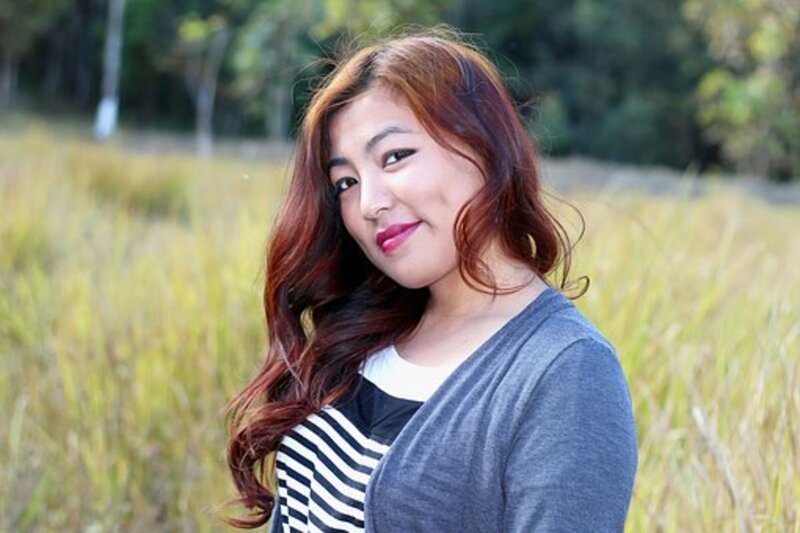 @chickie99: I hope you have a chance to visit Bali. @Elaine Chen: Bali is more beautiful than these pictures. Oh my goodness! You have practically written an entire travel guide to this place of enchantment! Wonderful lens with fabulous photos and the point of view of someone who obviously knows Bali well. Blessed! what a great lens introducing must-do things in Bali; and thanks a lot for sharing nice photos here. gosh~have always wanted to go to bali! My friend just went to Bali. She said it was very humid which she wasn't dealing well with. There was a lot of trash, beaches and water were very dirty. She was enjoying the inexpensive spa treatments, though! @anonymous: I agree with you. I was just battling with this issue yesterday as we cruised through the Spice Bazaar here in Turkey. I want it to stay the way I liked it but development has to come and some cities have done this more responsibly. Bali is a bit better than many we have visited. We love to explore local markets and get our vegetables in Hanoi in some of them but, that too, will change. I agree with Eileen Hughes that too much tourism can spoil a place. That said I really enjoyed my visit. I have been to Bali about ten times. But I hate flying so do not go there anymore. I loved the friendly people there but in all honesty I loved the Bali how it was in about 1970-80's more natural beauty. I believe they have spoilt it with there glass window shopping and tiled floors. Give me the markets anyday. It was a great experience. Why leave home with our shopping centers to go shopping at more shopping centers. Sorry I loved the old Bali. Just my thoughts. Great HUGE lens it is beautiful and so is Bali. Wow, this is some kind of lense! Wouls love to visit one day, great lens. @dewapariana: Thank you so much. I appreciate a Balinese's comment. @catkid123: There are many more opportunities to go to Bali. It is not difficult nowadays. great lens.. i think you know well about bali.. im balinese..
Wow! Great Lens. Thank you! Bali's is such a beautiful place. The luscious green is sure to sooth your eyes. I loved the images you shared. I made the mistake of not going when I had the money. It was my number one place I wanted to go to, even before I wanted to go to China. It seems so peaceful and island like, just like some of the island culture of the Pacific I experienced on the cruiseship I worked on. @ptruc: Bali is really a must see. @scottorz: I hope you do. Bali is worth it. @Jo-Jackson: Time to visit Bali. It is very appealing. What a great lens I think you pretty much cover everything thats possible to see and do in Bali thanks for sharing this extensive well written and executed lens. Not been there yet but this lens is a mine of information and makes it look very apeealing. @Gypzeerose: Go now before the tourist wallahs transform Bali into a Vegas. @Chris-H LM: I hope you get a chance to visit Bali. @GardenerDon: That's good because things like that happen. It becomes a conversation piece. @Steve Martaindale: That happens to us, too. Am glad you shared your visit to Bali. Well, I am absolutely convinced. Excellent job on this lens - I will return here before I travel. Pinned to my travel board and blessed. It looks like a beautiful place. I hope to go there one day. Haven't been there, but I have a son who says the best memories of his life were jogging up a Bali beach at daybreak, listening to Jack Johnson on his iPod. His worst memories were renting a scooter then having it dinged by a cop, then finding the insurance he'd bought was a scam! Didn't faze him though - said he's going back! My, but you brought back wonderful memories. I spent a week in Ubud almost 10 years ago and it was amazing. We did the pre-dawn climb of Gunung Batur but did not see the sunrise for the fog; it was still totally worth it. One of the most vivid impressions for me, was the aromas. We were there during the celebration of Galungan, so there was a lot of incense around, not to mention all of the outdoor cooking. I never really knew where the smells came from, but for months I'd catch a whiff of something and it would take me back. Beautiful lens! 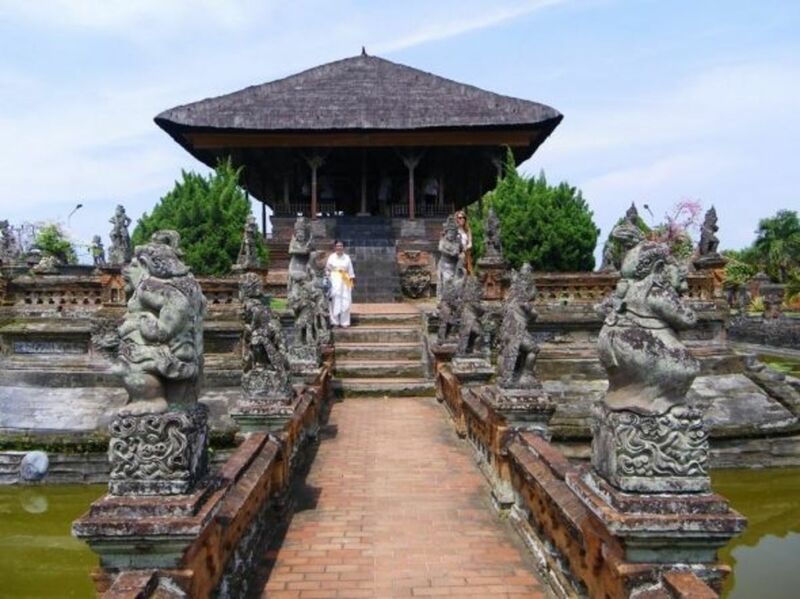 @meditationhowto1: There is so much of the spiritual in Bali worth exploring. @kumki660: Do visit Bali. You will enjoy it. @reviewmaker lm: I hope so as it is worth really. After reading this, I wish to visit..
Wow, seriously packed lens that has left me wishing to visit Bali more than ever!!! Thank you! @Expat Mamasita: We actually went to Malaysia from Cambodia to be in Bali. I understand what you are saying as we often postpone trips that are close by. @MichaelDubrovnik: Surfing is really great in Bali. @CruiseReady: There are oriental cruises you can look into. @ElBat: Bali really offers much to the culture enthusiast. @aquarian_insight: Bali is still a dream destination so go now. What an amazing place and culture. I def want to go one day! I doubt I will ever get to go to Bali, but if I do, I know I would really like it!